Meet Pam Pierson, Associate Artistic Director. Pam has been working on and off with FWCC since the mid-nineties conducting various choirs. Over the years, she has conducted the Lyric Choir, Treble Choir, Chorister Choir and the DeKalb County Community Choir. She graduated from Taylor University, Fort Wayne with a degree in music education. 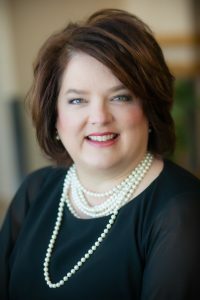 After 18 years teaching elementary music in Fort Wayne Community Schools and after earning degrees in curriculum development and school administration, she became an elementary principal and eventually the assistant superintendent of a private school in Auburn, where she lives. For the past year, she has been teaching courses in music education at IPFW and supervising student teachers. When she is not making music with kids or preparing pre-service teachers for that responsibility, she enjoys time with family, quilting, and curling up with a good book. She is especially thankful for her husband Ed who is a contact source of support and encouragement. 1- What do you like best about working with FWCC? Working with the FWCC is a dream job for a music educator! As a director, I get the pleasure of making music each week with kids who love to sing! They bring an enthusiasm and excitement that makes coming to rehearsal a joy. I also have a tremendous appreciation for the staff. FWCC people are hardworking, talented folks, and I am humbled to be included on the team. 2- What is your favorite FWCC memory? Just this summer, I had the privilege to conduct the choirs on tour at the Basilica of the National Shrine of the Immaculate Conception in Washington, D.C. This was my first tour with the FWCC and definitely a memory to treasure! 3- How would you describe the culture of FWCC? The FWCC is characterized by a culture of trust and integrity. Perhaps it’s because singing is such a personal, vulnerable act that it fosters a trust among the singers and staff. And I deeply respect the integrity that FWCC brings to the work of music education in Northeastern Indiana. We believe so strongly that music is important and good for children. The integrity of the FWCC drives the organization to ensure that quality music education is available to all children because it’s the right thing to do. 4- Why should a child consider joining FWCC? For children who love music and singing, this is where they can flourish and develop the skills to become independent music-makers for life!